A lot of patients have already researched hip and knee conditions on the internet. It is important to understand that sometimes the vast information on the web can be overwhelming and confusing. Please write down any questions so that your queries can be discussed at your appointment. 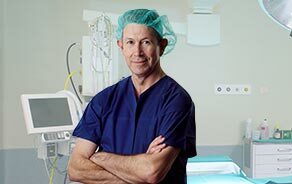 When choosing a surgeon, it’s important that you choose someone that you feel confident and comfortable with.